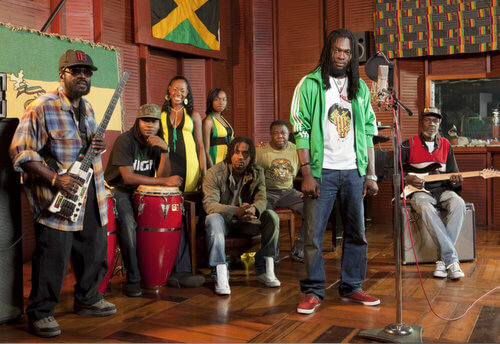 The Wailers are as synonymous with reggae as Mozart is to classical music. As Bob Marley’s backing band, The Wailers have toured the world selling over 250 million records to date. Although bassist Aston “Family Man” Barrett is the only original member, the current lineup is overflowing with many talented musicians that carry Marley’s legacy. As Marley’s right hand man, Barrett witnessed the evolution and Americanization of reggae over the years. In his thick Jamaican accent, he spoke to me from his home in Kingston to discuss reggae’s message, Island Records and the spirit of reggae legend, Bob Marley. The Wailers perform in Lincoln this Thursday. What makes reggae so universal? Reggae music it is the art of the people. It’s a universal language to share the messages of truth, culture and reality. As Bob Marley’s right hand man, what was the most important lesson you learned from him while he was still alive? We are like one. I am the main one to keep it going. We all have to live and work as a family. The one to carry to that on is Family Man. My duty is to keep the legacy and spirit of Bob Marley alive .We are voluntary chosen. Thy will must be done. During recent interviews with Jimmy Cliff and Burning Spear, they said Island Records was always good to their artists, but you had a very different experience with them. Since your lawsuit in 2006 against Island was dismissed, how are your feelings towards the label? Well, you know, they say every one has a burden to carry He who feels it knows it. I co-produced Burning Spear’s album. I am not waiting in vain. I kind of leave that one alone for now. What goes around comes around. I’m waiting for it to come back around and get what was rightfully mine for all the hard work. The Wailers, January 5, at The Bourbon Theatre, 1415 O St., Lincoln, 8 p.m. Tickets are $23 ADV/$25 DOS. Visit www.bourbontheatre.com for more information.